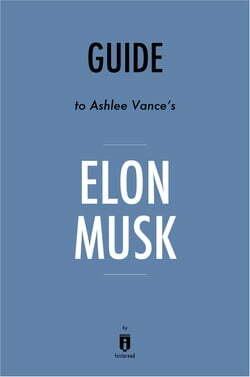 Elon Musk: Tesla, SpaceX, and the Quest for a Fantastic Future&nbsp;is a biography by Ashlee Vance. Musk originally refused to cooperate with Vance’s biography. This was no surprise, as he was known for being extremely... read more controlling of everything written about him and his companies. Vance already had plenty of inside sources, but he wanted Musk’s input. Musk demanded to be allowed to vet the book and add his version where he did not agree. Vance refused. However, he managed to get Musk to listen to his journalistic and personal reasons for not allowing pre-approval of the book. To his surprise, Musk agreed to cooperate and allowed free access to his staff, friends, and family.